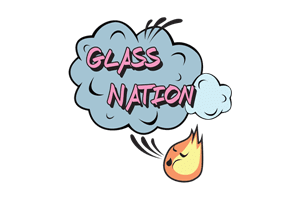 Glass Nation has the best titanium domeless nails online. First of all we carry several different variety of titanium domeless nails for your dabbing pleasure. These materials include titanium nails, ceramic nails, hybrid nails, and quartz nails. Many of which are compatible with enails. Most of all we are concerned with quality. Ensuring that we have are quality products is of the utmost importance to us. Secondly, Glass Nation has industry experts that have spent time evaluating the market, and discovering the different products that exist. Because of this we have curated the best quartz bangers and other domeless for your convenience. Their is a lot of poppycock out there and you don’t want to be vaping off of poppycock.If you ever come across an especially good product or brand be sure to let us know because we love to carry new products!